Happy Day before Friday! Hope you are all enjoying your week, and that if you're in back to school mode, everything is going well! I can't believe it's almost the weekend! I'm planning on going up North, I was hoping for this weekend, but my brother wants to go up with me, and not sure if he can get time off until next weekend. 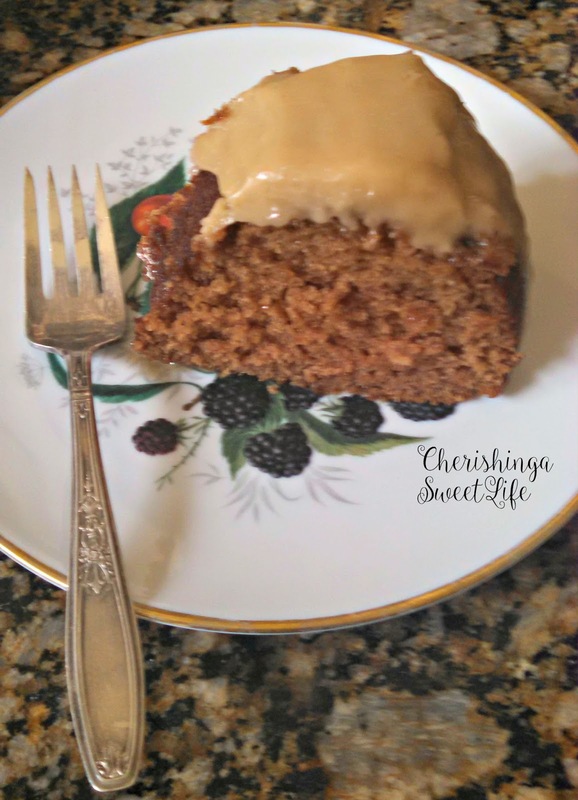 Today it's my absolute pleasure to share with you, possibly the best cake my husband and Father in law, who stopped by yesterday for a slice or two, said I've ever made so far; Applesauce-Spice cake with Caramel Icing. It's an amazing spice-filled with appley goodness that tastes and smells like fall. 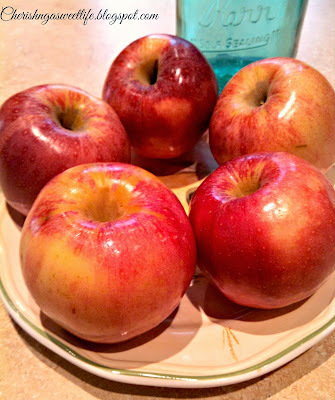 It's all about the apples, and how crisp and sweet they taste! The apples on my mother's apple tree are almost ready! I'm going to check on them this weekend, but I couldn't wait! I wanted a bite of caramel apple this week! 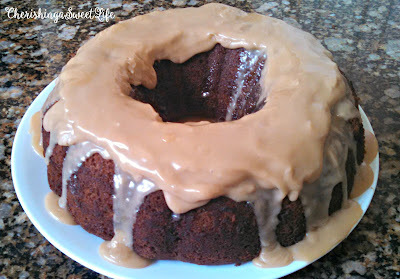 are what drove me to bake this Applesauce-Spice bundt cake. filled my house with the cake's yummy scent! baked goods a richer taste to them. It made the perfect mid-day treat! 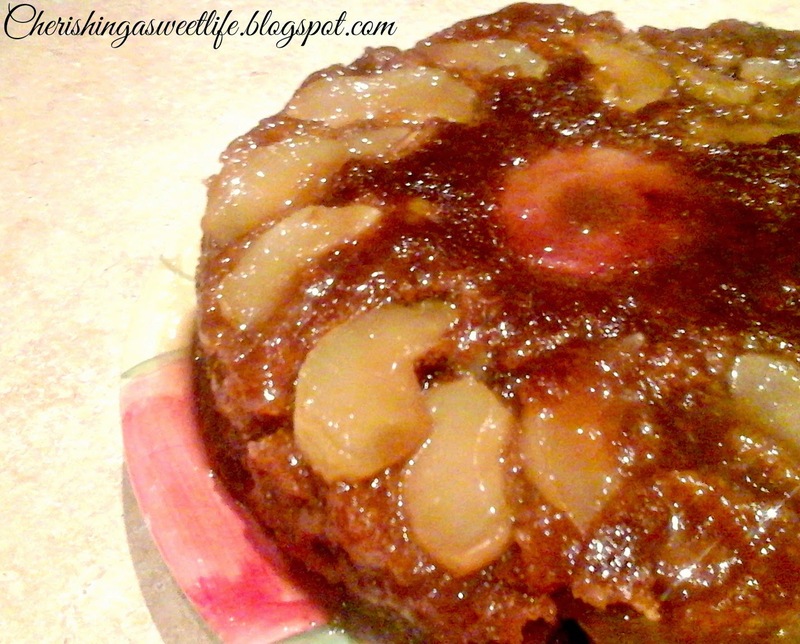 mother's apples to make home made applesauce for this cake! 1. 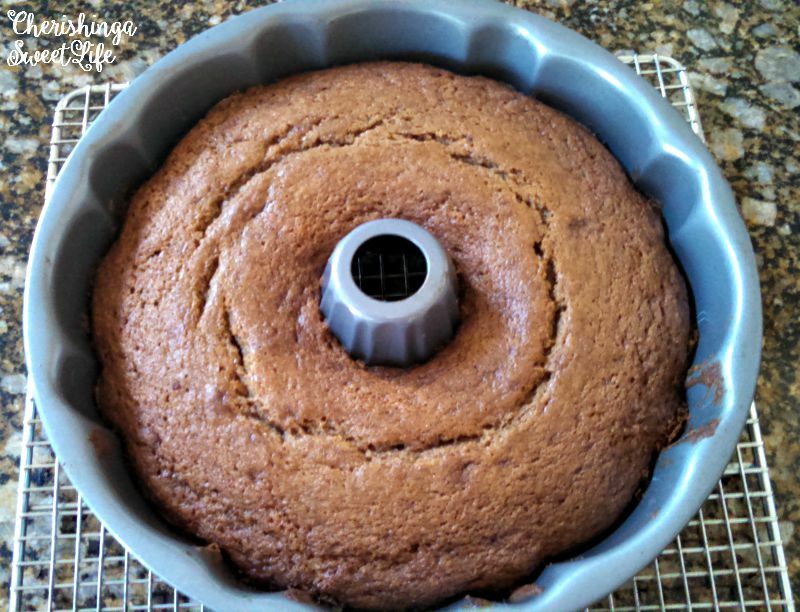 Heat the oven to 350 degrees and grease a 12-cup Bundt pan. Sift together the flour, baking soda, salt, and spices and set aside. In a mixing bowl using a standing mixer, cream the butter and the sugars together until light and fluffly. Add one egg at a time, beating well, and scraping down the sides of the bowl, before adding the next egg. Mix in the applesauce, and vanilla until smooth. 2. Mix in the dry ingredients.Pour the batter into the prepared pan and bake for about 45 minutes, until a cake tester inserted in the center of the cake comes out clean, or the top springs back when lightly touched, and the sides of the cake begin to pull away from the sides of the pan. 3.Cool the cake for 10 minutes in the pan on a rack before turning it out and cooling completely on the rack -- make sure the cake completely cooled before you start to make the glaze. 4. Put the butter in a medium saucepan with the brown sugar, cream and salt and set over medium heat. Watch as the brown sugar melts and begins to simmer. Let simmer for one minute. No longer than a minute or the sugar might burn. Then pull the caramel off the heat. 5. Leave the pan to cool for a couple of minutes, and then gradually whisk in the powdered sugar until you have a thick, but pourable consistency (you might not need all the sugar). If the mixture seems too thick, just add a splash of cream to thin it out a little. Immediately pour the icing over the cake. Let the icing set before serving the cake. OMGosh!!! This looks so delicious!!! I love applesauce spice cake and will definitely be making this recipe and using that caramel icing..caramel is so YUM!!! 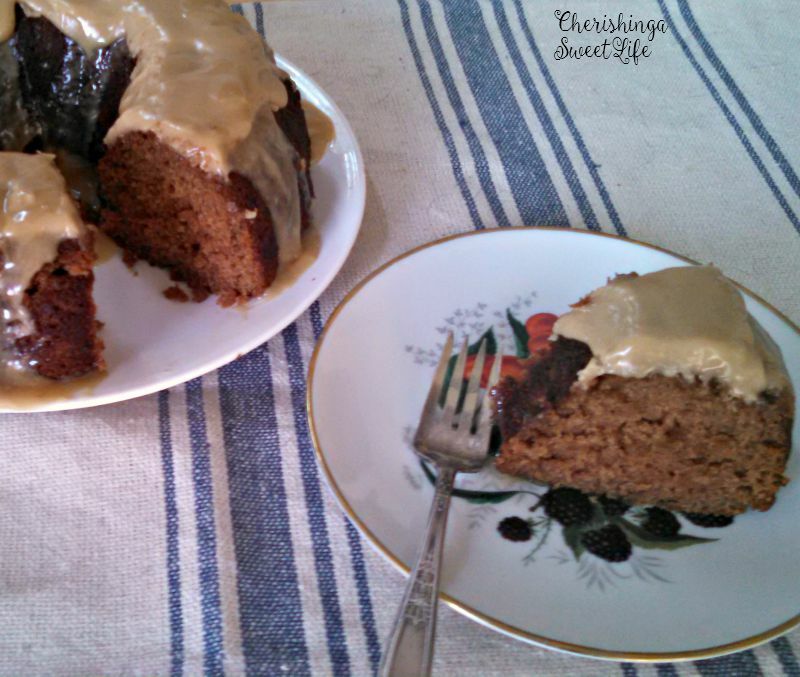 I have a great recipe I need to share after we move for applesauce spice cake baked in canning jars. My mouth is watering...are you putting that in the mail, like right now???!!! ;-) Hugs!! Yum! This looks so delicious! I love Bundt cakes. :) I bet the frosting topped it off perfectly. Wow your cake looks so good. Thanks for sharing it at Cooking and Crafting with J & J. This cake looks delicious! 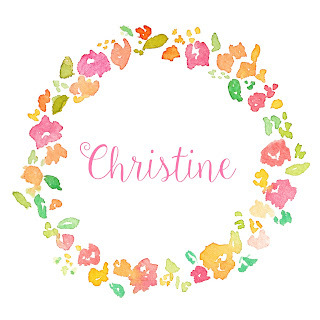 Thank you for joining the Merry Monday Link Party! Tummy!! This looks delicious!! Thanks for Linking up at My 2 Favorite Things on Thursday!! Hope to see you again this week!! Pinned! This looks delicious. I haven't used applesauce in a bundt cake. I'm going to give this a try. Pinned to my dessert board. Thanks for sharing on Snickerdoodle Sunday. I pinned this! It sounds so delicious! This cake sounds wonderful. My oldest son LOVES any cake with applesauce in it...so moist. Pinned.